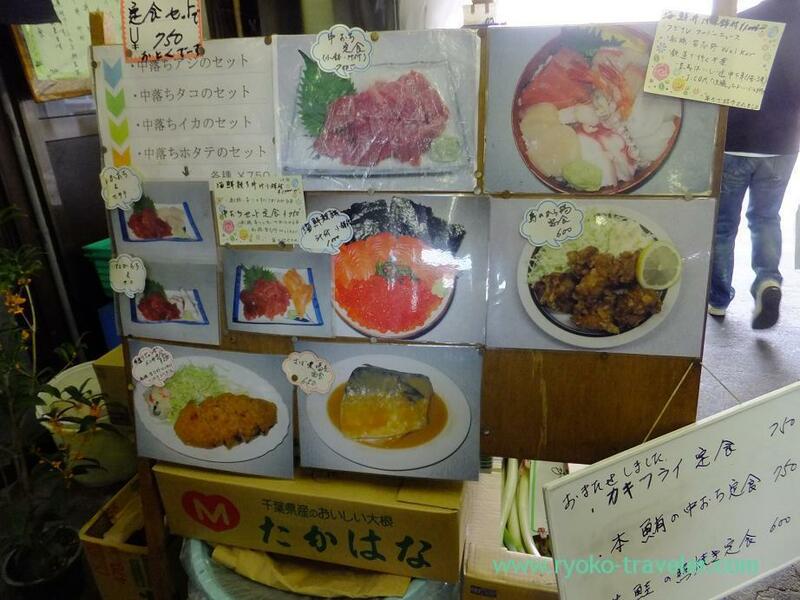 Speaking of fish market in Japan…. 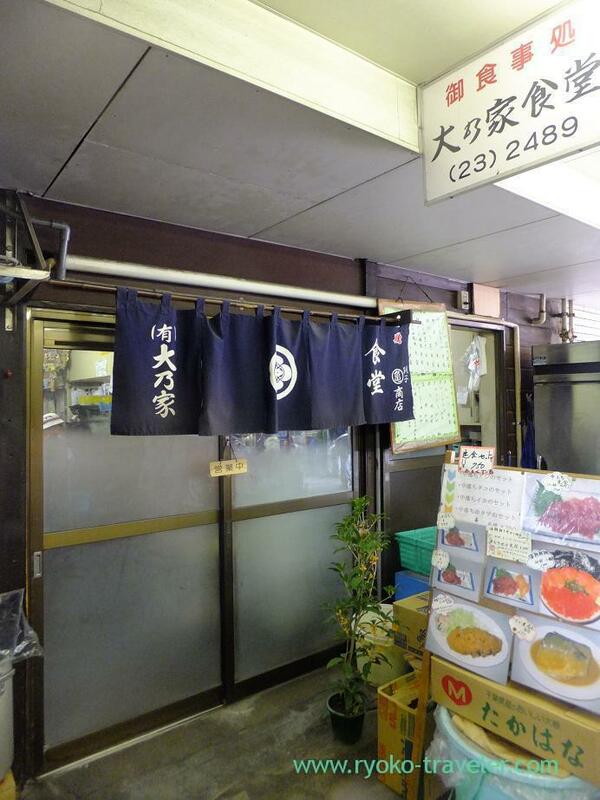 Almost all people remember “Tsukiji Market” at first. Of course, me too. But the prefecture I live in have a market, too. It is a very small market. The name is “Funabashi Central Market”. The market is not effervescent like Tsukiji Market. 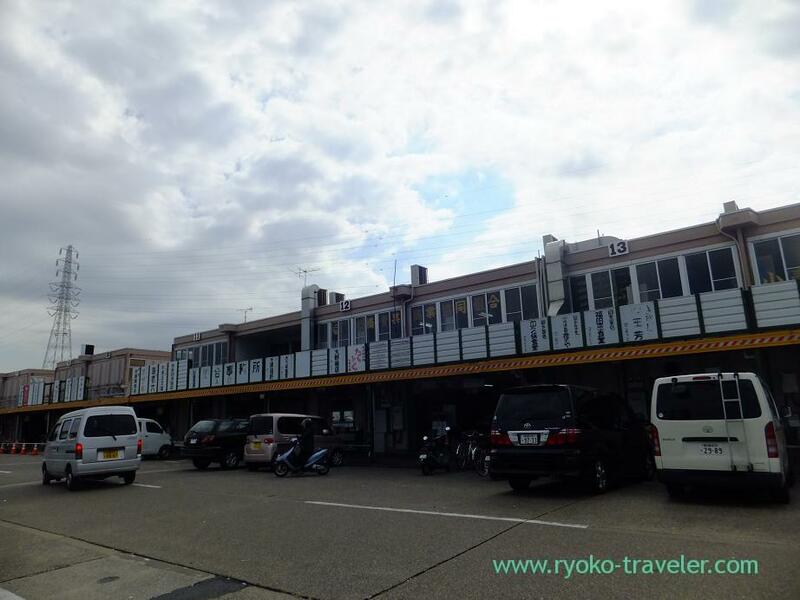 Tsukiji market is also a sight-seeing area. But this market is none other than market. There are no signs for outsiders. So, at first, it took time to find the entrance of the market. And I came in the entrance of the market with difficulty, but I didn’t know where eating house is. The guard told me the way to the eating house. This is the eating house. There are some eateries. What eatery for workers in the market ! Prices of almost all set meals are 800 yen or less. Inexpensive. I saw about this sashimi bowl on local TV. Pickled vegetable and boiled hijiki were good. 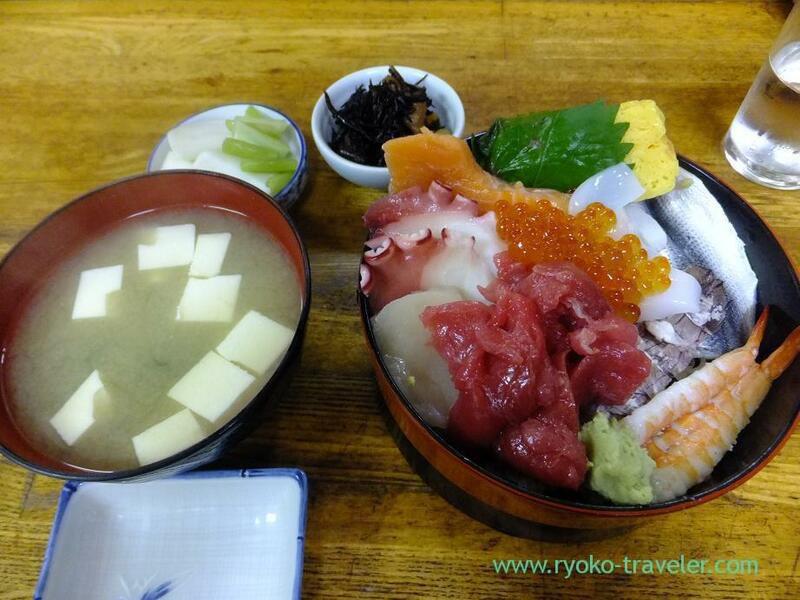 Of course, it was good, but it is no match for Tsukiji in freshness of fishes. Trip to Russia 2012 Summer (8) , the Second day – Taking a walk around the hotel.